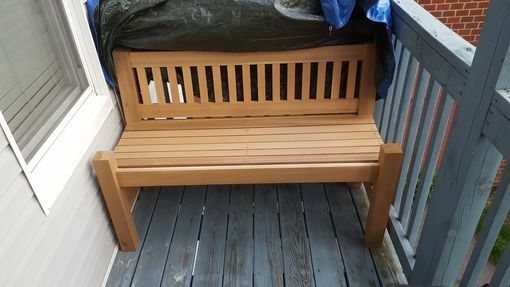 Bench is made from western red cedar and can stand up to harsh outdoor weather. Bench shown is unfinished but can be finished with deck sealer. Contact me with design questions.